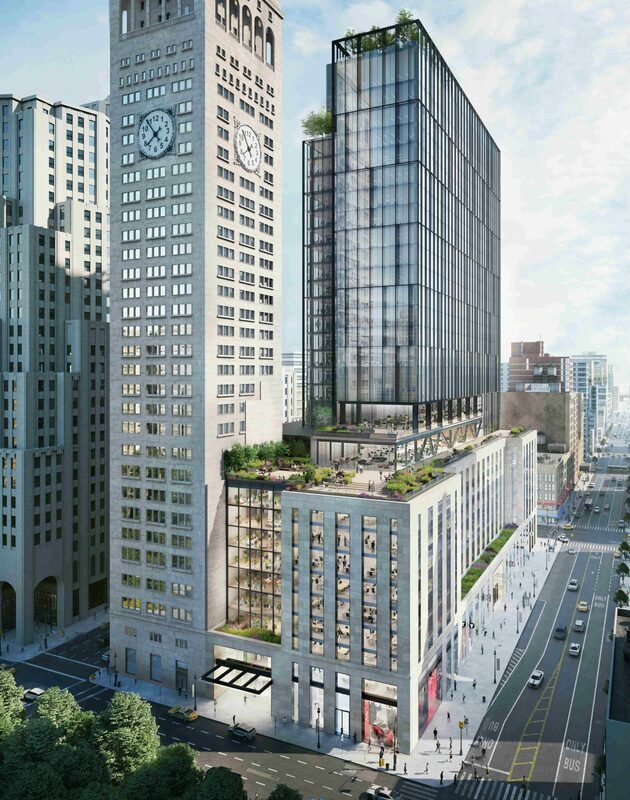 SL Green Realty Group will add 18 stories to the top of One Madison Avenue in hopes of making it the premier office tower in the booming Midtown South submarket. Using 218,000 s/f of unused air rights, the redevelopment will add new office space, tenant specialty floors and an acre of outdoor terraces. To transform the building, SL Green, the city’s largest landlord, will employ the same group of firms behind One Vanderbilt, the company’s skyscraper next to Grand Central Station, including architects from Kohn Pedersen Fox and Gensler as well as Hines, a developer. One Madison Avenue occupies a full city block between 23rd and 24th Streets next to the iconic Met Life Tower. “One Madison Avenue has an unbeatable location overlooking Madison Square Park, and after the redevelopment it will become one of the most sought after addresses in all of New York City,” SL Green CEO Marc Holliday said. SL Green will redevelop the property as-of-right and will increase the rentable square feet to 1.5 million. The 13-story building will be reduced to its current 9th floor in order to construct 18 additional new column-free floors. “SL Green has been a visionary developer to work with at One Vanderbilt, so naturally we jumped at the chance to collaborate on the redesign of One Madison – a dramatic transformation that will infuse a timeless New York City property with a dynamic, inspiring workplace for the 21st century,” said Doug Hocking, AIA, Design Principal, Kohn Pedersen Fox. The project will revitalize the lobby, add retail space and add a multi-use auditorium. SL Green hopes to begin demolition and construction in 2020 and 2021.